Quantity: Sold as a kit. 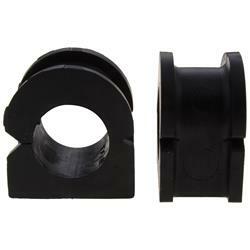 TRW premium sway bar bushings are designed to deliver tangible safety benefits for drivers. Over time, your car's bushings start to break down, making handling your vehicle difficult. These TRW sway bar bushings are manufactured from premium materials, ensuring years of trouble-free performance.